Let’s take a trip back in time. The year is 2006, and FensePost is only a few months old. I stumble upon a newly relocated indiepop artist called BOAT. The band moved from Chicago to Seattle and landed a spot on the Magic Marker Records roster for their debut LP Songs That You Might Not Like. Around the same time, via the twee-favorite Matinee Records imprint, I discovered Seattle indiepop band Math & Physics Club. Now, what do these two bands have to do with Unlikely Friends and their debut album Solid Gold Cowboy? The Answer: everything! Unlikely Friends is the pairing of D. Crane, frontman of BOAT, and Charles Bert, lead vocalist of Math & Physics Club. In all honesty, it is no surprise that Crane and Bert are actually good friends. The two have been rocking the Seattle indiepop scene for nearly a decade, and both have developed quite loyal followings (including me). I have a poster from MAPC’s debut LP release show, signed by Bert himself. Crane once dedicated “Period, Backslash, Colon” to my mustache at a show. And while I haven’t seen either band play in half a decade, it’s quite likely that I’m their closest and most loyal hermit fan. Listening to Unlikely Friends, you can hear a little of both bands in the joyous sounds that Bert and Crane produce. Ultimately, those sounds lean a bit more toward BOAT with louder, more rambunctious guitar riffs, heavier drums (provided by Jigsaw Records label head Chris McFarlane), and Crane’s signature vocal styling. It’s borderline power pop! Last week Bert reached out with a link to the new album, and it drew out all these memories from the early days of FensePost when indiepop dominated my playlist. Unlikely Friends has dominated my playlist since. I simply cannot get enough of this album! 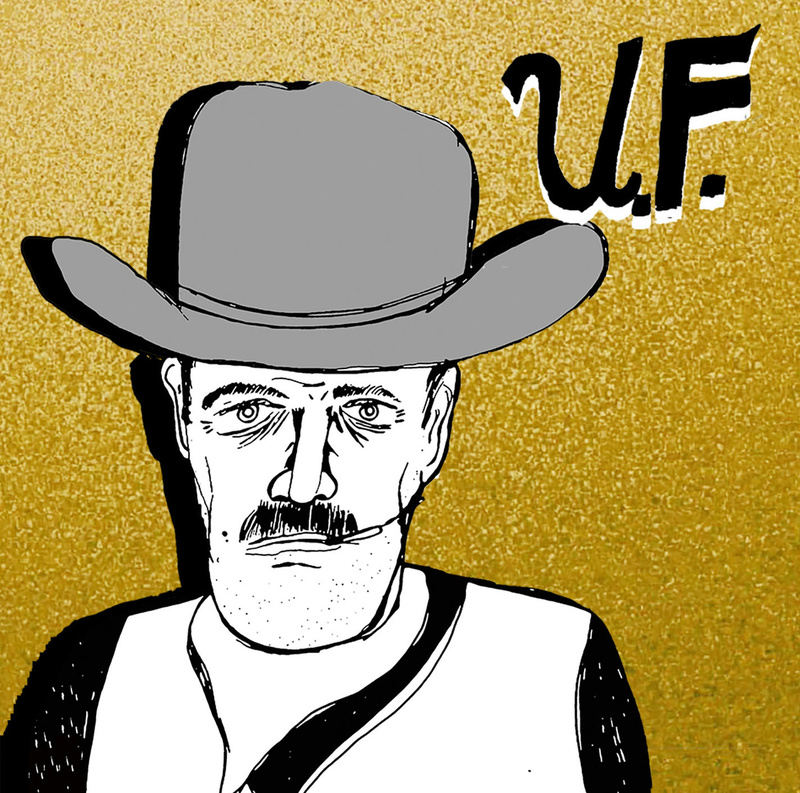 Find Solid Gold Cowboy on Jigsaw Records today. Check out a few of the tunes below! Next Post Hayden Drops New Single, “Hey Love” – New LP out Soon!